Author: Burns, Khephra Set In . . . When an evening celebration in his village is disrupted by the cries of slave raiders, young Kankan Musa runs to find his spear, but in a moment he is taken. Suddenly, the world he has known is gone. Is he to be a slave? Or will destiny carry this son of a proud people to a different future? 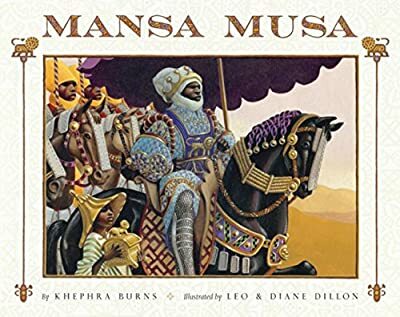 Caldecott Medalists Leo and Diane Dillon capture the grandeur of Africa's ancient empires, lands, and people in stunning paintings as this richly imagined tale of the boyhood of Mansa Musa, one of Mali's most celebrated kings, carries us across the continent on a triumphant journey of self-discovery.